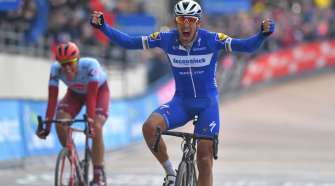 Cannondale recently unveiled the new Cannondale Gazette at the Cannondale-Garmin Pro Cycling team presentation this month in New York City. The new 2015 Cannondale Gazette, published 6 times a year, features expanded content to give readers more of what they want – all things bike. Beginning with the January issue, the Cannondale Gazette will have a completely new look and feel, featuring every segment of the Cannondale lifestyle – road, cyclocross, triathlon, mountain, urban and apparel – while previewing upcoming events and introducing readers to the faces and personalities in the cycling world. Readers will become acquainted with everyone from pro racers and riders, to celebrities and the people working behind the scenes to make Cannondale one of the best brands in the industry. In addition to all of the great features found in the print edition, digital readers will also have access to exclusive Cannondale videos and athlete interviews. 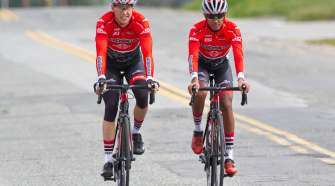 The January 2015 issue, which can be found here, is anchored by an in-depth look at the 2015 Cannondale-Garmin Pro Cycling Team, including an inside glimpse at the team-building camp in the British Virgin Islands. The issue also looks at the team’s stable of bikes and includes a one-on-one interview with Andrew Talansky as he prepares for redemption at this year’s Tour de France. 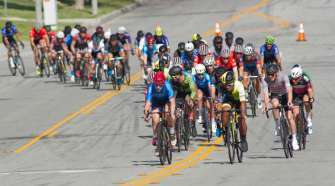 Readers will also see Q&As with mountain biker Ben Cruz and motocross rider & Cannondale enthusiast Davi Millsaps, get suggestions on the latest apparel and explore the Cyclocross National Championships. 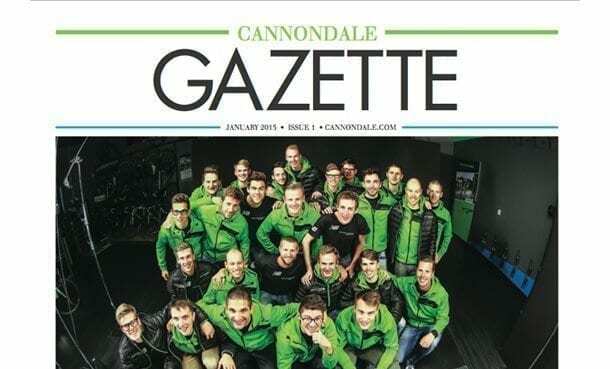 Cannondale enthusiasts should look to grab a free, limited-edition print copy of the Cannondale Gazette at events and races throughout the year. Copies of the magazine will also be available at select dealers throughout the United States and around the world. The digital version will be featured for download on iTunes, Android, and Kindle, and the latest edition can always be found on Cannondale.com.